I flew in from Medellin which takes about 30 minutes and there are flights pretty much every hour at least. I flew with Avianca who were excellent. I got a taxi to and from the airport and my hotel as I was in a rush. The taxi took less than 30 minutes to get to La Candelaria (the old town) mid-morning. 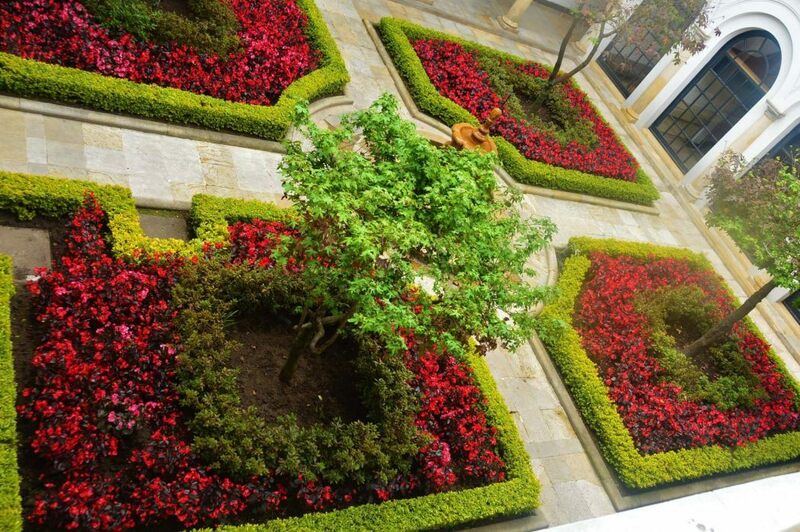 I spent all my time in Bogota walking – as I was staying in the old town. They do not have any kind of train system. Instead, they have these slightly odd buses that are kind of like trams. I believe they run quite frequently but I didn’t have time to try them out. I found the Orchids Hotel online and when I arrived I fell a bit in love with it! Such a gorgeous boutique hotel! And it was helped by the fact it was a lovely purple colour! 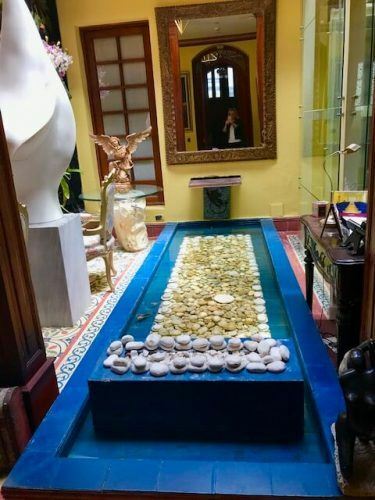 It is a bit of an oasis in Bogota, tucked away with only 8 rooms. Coming inside it is like staying in someone’s beautiful home. 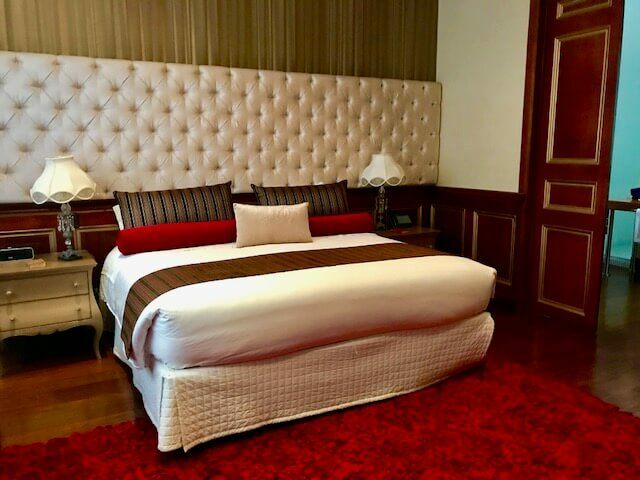 The hotel is beautifully decorated – particularly the incredibly comfortable and luxurious rooms. My room was huge plus it had all the mod cons. The bathroom was large with a lovely giant shower. What was a little different was the glass elevator! In the middle of the hotel is a glass elevator that goes up one floor. I have no idea why it is there but I found it a huge novelty – mostly due to its links to my childhood love of Charlie and the Chocolate Factory! The Orchids Hotel is known for its restaurant. However, it gets booked out quite some time in advance. But if you are a guest you are able to have room service – which is what I did and my burger was delicious – as was the wine they brought to my room. In general, the service was outstanding. When the hotel learnt that I need to leave at 430am to get to the airport they insisted they would have a to go breakfast pack ready for me. They could not do enough to help – and the breakfast pack was huge and very tasty. 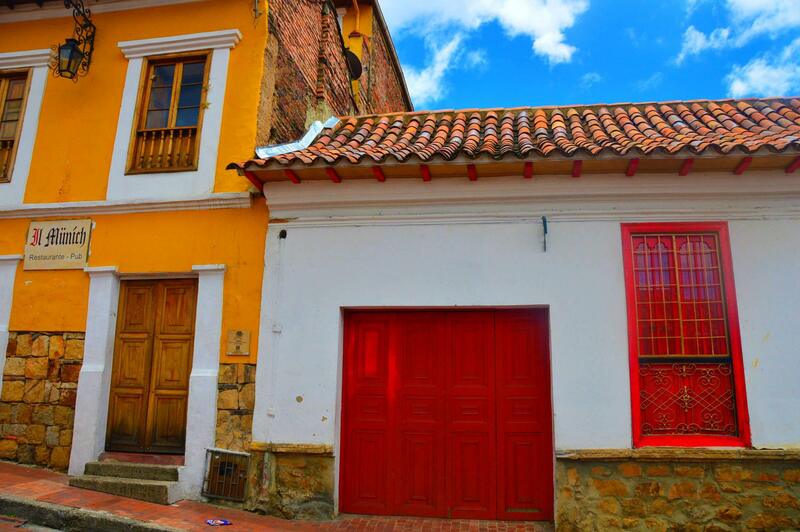 It also has the most fantastic location -right in the heart of old town Bogota La Candelaria. I walked everywhere whilst staying here. 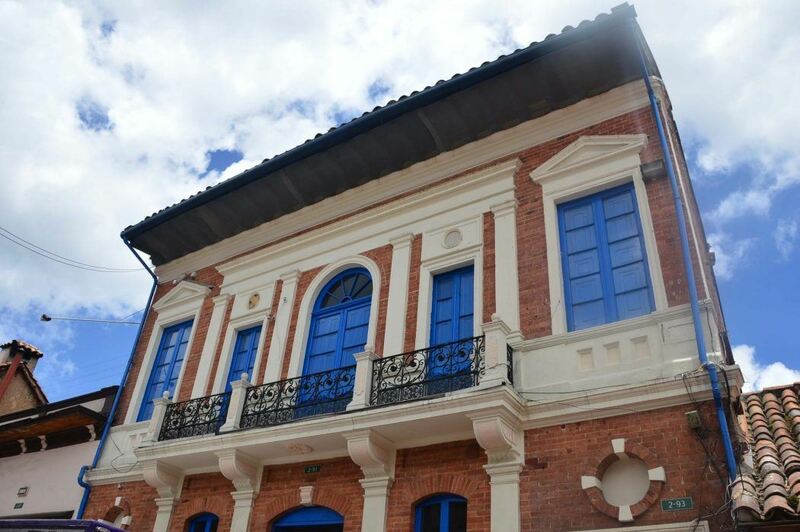 I can’t imagine a better location – or hotel – for a stay in Bogota. I do love a city walking tour! And the free ones are often excellent as the guide has such an incentive to make it great. The financial premise of these tours is that you tip at the end based on what you see as its value. The model tends to work really well. The tour meets in front of the Gold Museum. And runs twice a day in English. There is also a free food tour which runs once a day. I would have done this if I had had more time. The tour guide was brilliant. She was funny, smart and very engaging. I had been in Colombia for over 3 weeks when I took this tour and she provided the best explanation of Colombian politics and shall we say the underbelly of Colombia has worked over the last 60 years. The highlight for me was the stories. Our guide covered a complete mix. We heard about the assassination in 1948 of Jorge Eliécer Gaitán , considered by many as the turning point in Colombia history as the first guerrilla groups grew from the outrage over this assassination. Outside the Palace of Justice, I was fascinated to hear that the 12 people who “escaped” the terrible attack in 1985 were never heard from again. Finally, I loved hearing about the ingenuity of the Bogota street vendor. Apparently, Mick Jagger once came to Bogota for a Rolling Stones concert. Whilst in town he tried an Obleas. This is a waffle-based street food that comes with as many toppings as you would like – most commonly araquipe (Caramel) and jam. He mentioned in an interview that he had greatly enjoyed his Obleas. Now nearly every Obleas cart in town has a poorly photoshopped image of Mick Jagger with an Obleas near his mouth. Each, of course, claims to be the actual cart that bewitched Mr Jagger with its crispy sweet snack. The tour gives a fantastic introduction to Bogota and the guide was full of advice on things to enjoy whilst in Bogota. 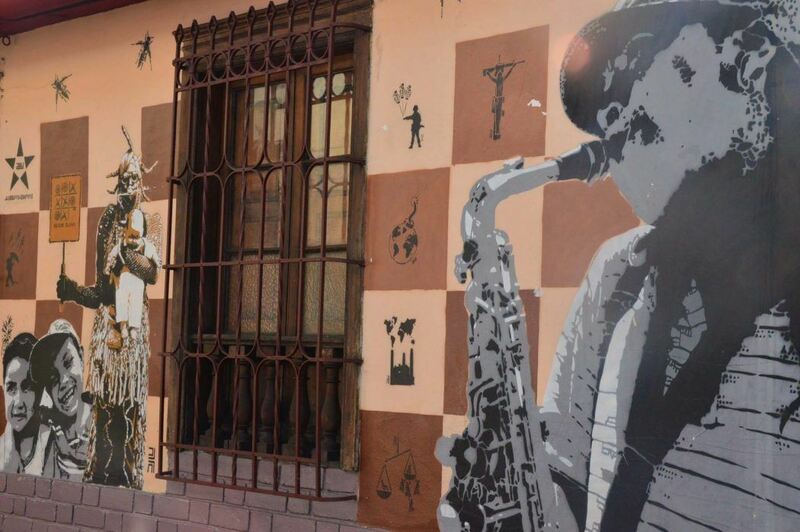 We got to see some street art and we even got to try some Chicha – homemade Colombian alcohol. It actually wasn’t bad! 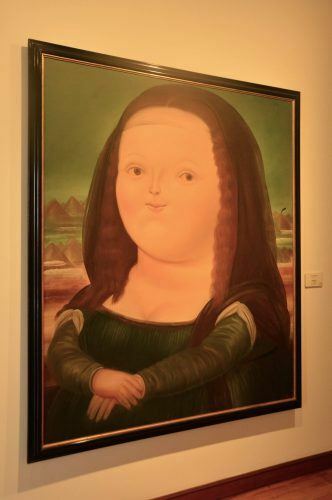 I fell in love with the works of Fernando Botero whilst in Colombia. I am not much an art appreciator but I loved his amazing sculptures and paintings that feature different proportions. I also really enjoyed hearing stories about the man himself. 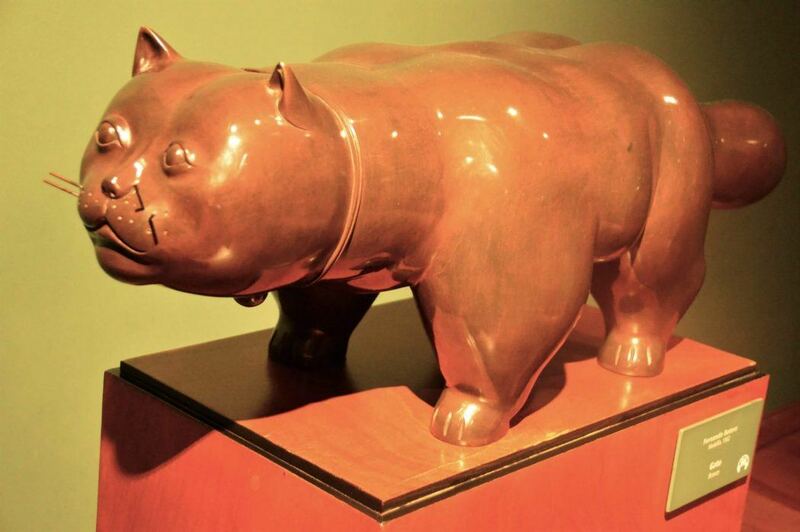 He contributed all of the art in the Botero collection free of charge. But there were a couple of conditions. The first was that no one could ever be charged to enter the museum. The second was that the art on collection within the museum was never to leave Bogota. The reason for this was that it would force people to travel to Bogota to see his works – and promote tourism. 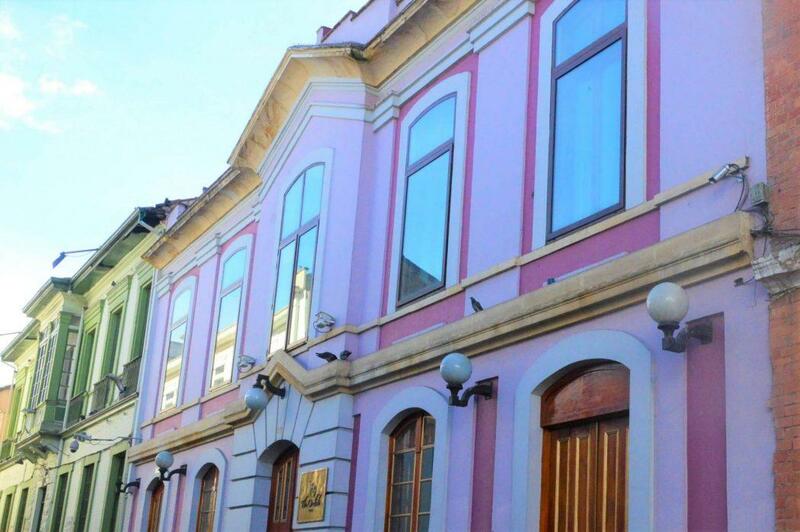 One of his most famous works, the Botero take on the Mona Lisa, is in this lovely museum. 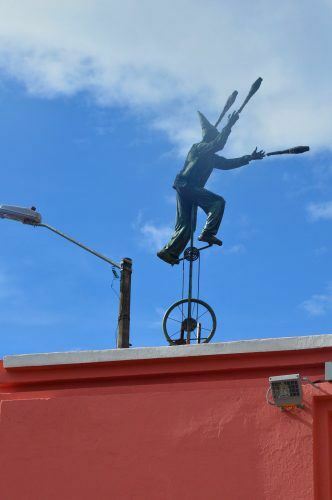 The museum also has quite a few of his amazing sculptures, a brilliant gift shop (Botero souvenirs make for great Colombian presents) and a lovely garden in the middle. 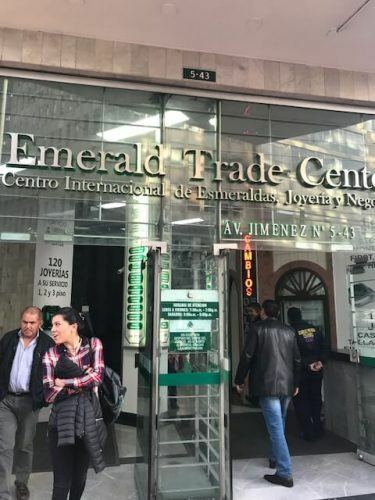 I was delighted to discover that Bogota is the centre of emerald shopping in the world! There is even a 3 story shopping mall that is full of jewellery shops devoted to emeralds! 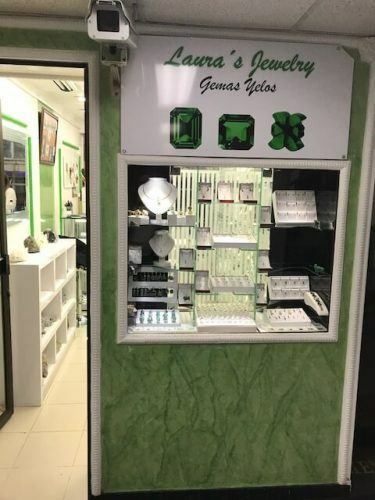 Apparently, there are quite a few places to buy Emeralds in Bogota but this is supposed to be the best in terms of quality and price. After checking out a few places in the mall I found a shop where I liked the designs – and it was also run by a woman which I liked. Once inside I tried on many different earrings and necklaces. We were very quickly joined by a family member who spoke excellent English. It turned out that this was a family and they owned 3 of the shops in the mall – each one attended by a different family member. I bought earrings and a necklace and they were just lovely. They provided all my certification and were open to bargaining! Their email address is [email protected] and ask for Paola Coy. They have one shop on the ground floor a few stores to the left when you walk in and then a second on the first floor to the right of the top of the escalator. The store on the first floor is called Laura’s Jewelry. My eating opportunities were quite limited in Bogota due to the tight timing! 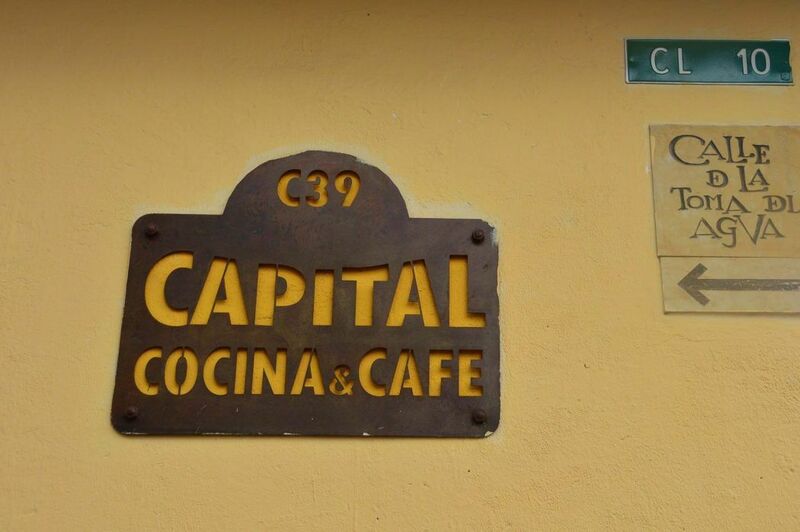 I had lunch at the lovely Capital Cocina which is in La Candelaria – about a 5-minute walk from the Orchids hotel. This lovely little café is exactly the kind of place you want to go for a delicious local lunch. The daily menu is an absolute steal at only COP$16500 for 3 courses. I started with a delicious soup and then into grilled chicken and beans. 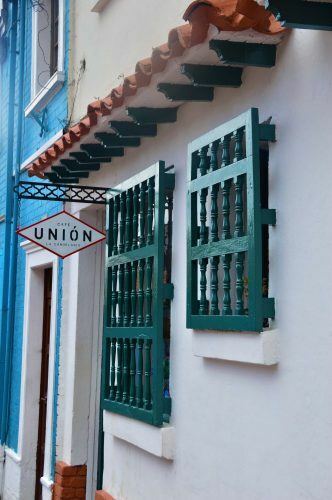 I walked past Café Union which is very close to Capital Cocina and that looked like an excellent coffee shop. Dinner was at The Orchids in my room and then breakfast on the run! 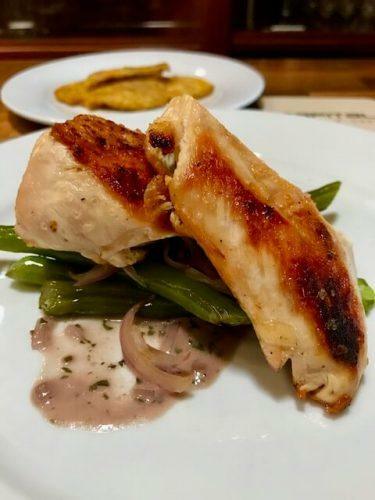 If I had been able to stay longer I definitely would have done the street food tour plus checked out some more restaurants – Bogota is getting a great foodie reputation. If you try any and like them do let me know and I will add them to this post! And do try to sample the Ajiaco. Bogota is the home to this delicious chicken soup. I had tried it only a day earlier in Medellin so I didn’t seek it out but don’t leave Colombia without trying this delicious soup that comes with half an avocado on the side! Things to do that I didn’t do and wish I had!!! 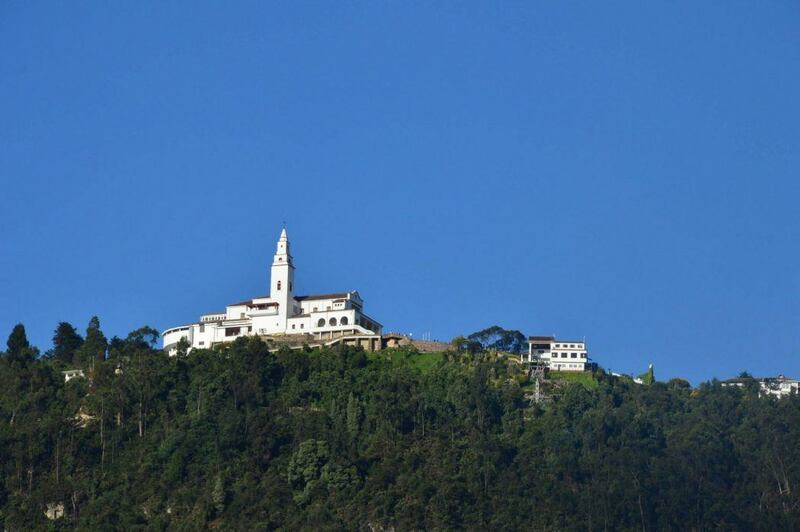 From most points of Bogota, you can see a stunning looking white church at the top of a mountain. This is Cerro de Monserrate. 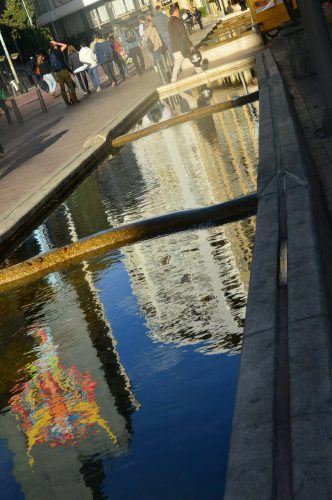 A lovely touch is that you can find the right path to the mountain by following the water feature through the main streets of Bogota. Locals make the pilgrimage up to this church on Sundays and apparently it is very busy. The options to get up there are to walk, take a mountain railway or a cable car. There are two restaurants at the top. I definitely would have spent more time in Bogota if I had known that they had a salt cathedral! I visited one of the only other salt cathedrals in the world several years ago. That one was I Krakow and it was absolutely amazing. So please go to Zipaquira in Bogota for me and let me know what it is like. 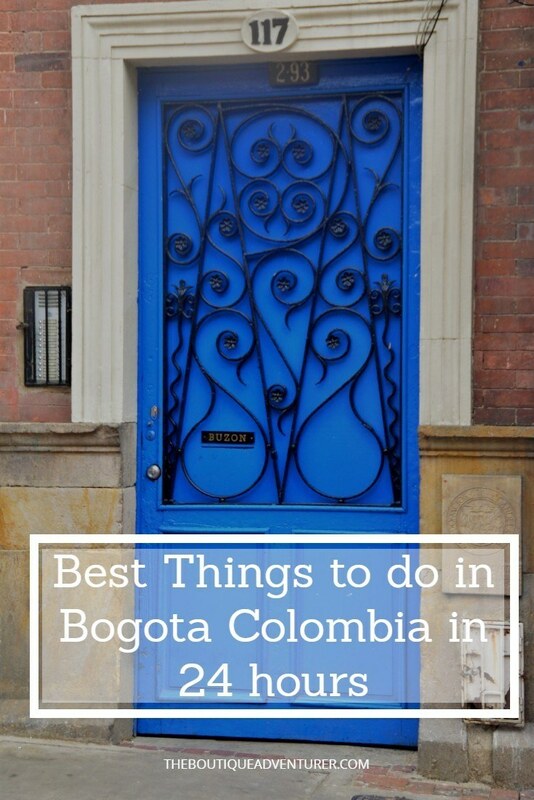 It was a short stay and my expectations were low but I was quite charmed by Bogota. I would have liked to have stayed at least another day and done some more exploring. 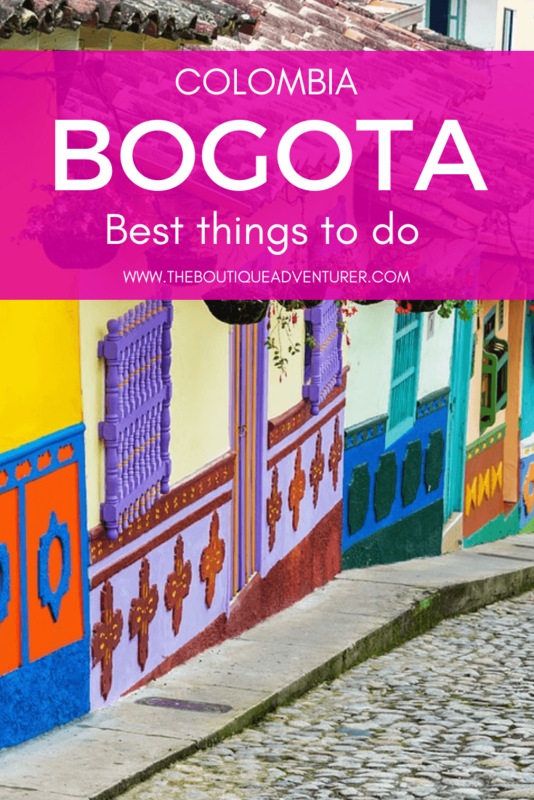 I was told by some to completely miss a visit but it turns out there are loads of interesting things to do in Bogota Colombia! When I have limited time somewhere I almost always book some kind of tour. I generally find it the most stress-free way to get a feel for a place in a short period of time. 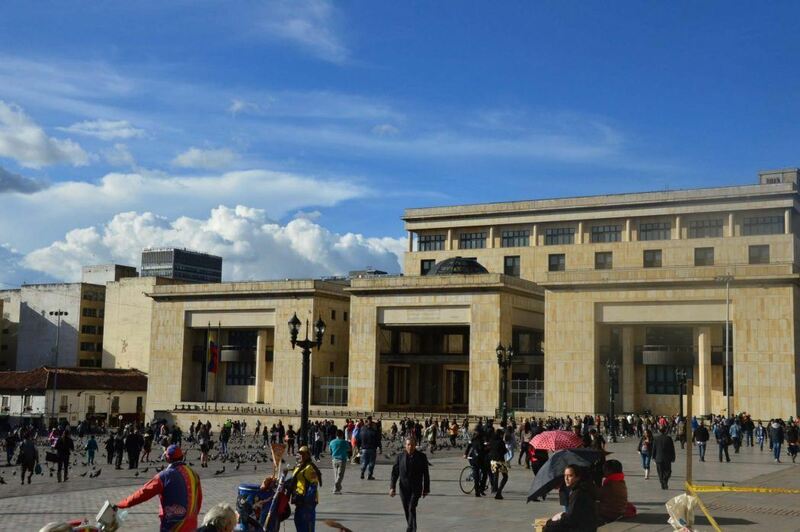 This Bogota Layover Tour has been designed to suit international flyers who have a short window of time. 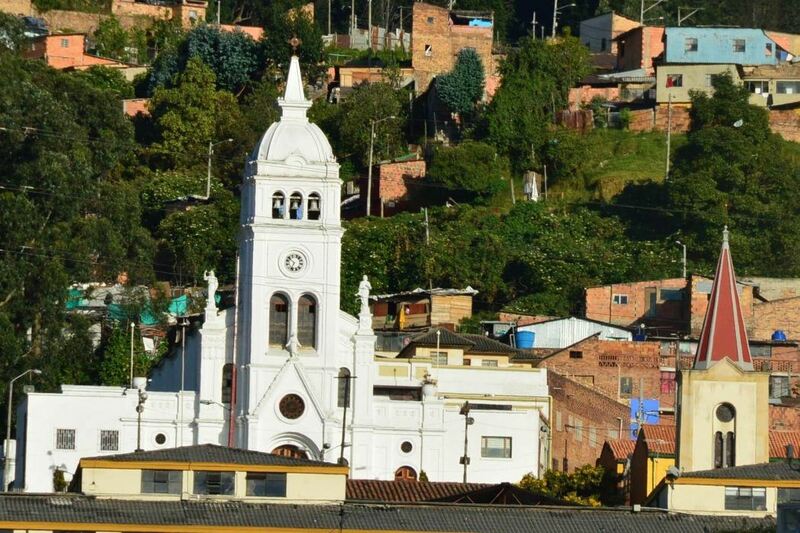 It includes airport pick up and drop off and covers some of the key sites of Bogota. If you have a full day then this Bogota Day tour offers 5 and 8-hour options with different itineraries covering the key sites in my post above. Or I always love a food tour – check out this half-day food and local markets tour.